Created in 1875, Le Grand Café Capucines is the legendary and famous brasserie Grands Boulevards. It has a great location: close to the Opéra Garnier, the Olympia and the Grand Rex. Open 7/7 and 24/24, Le Grand Café Capucines versions of traditional dishes that make French cuisine's reputation. The scales Bench Grand Café Capucines is the attraction of the area. 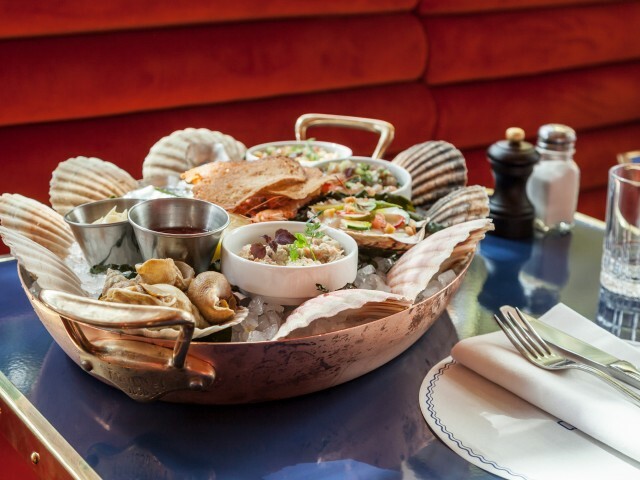 Oysters, lobster Paris and seafood platters can be enjoyed on site or take away. Parisian Art Nouveau brasserie, decor signed Jacques Garcia. The red velvet chairs, murals and beautiful glass roof give the place a unique charm. the organization of your events.